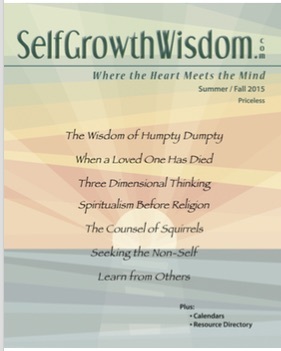 Take a step today toward greater self-awareness by reading an article from the SelfGrowthWisdom.com™ Magazine digital library. Magazine and article .pdf downloads are free. 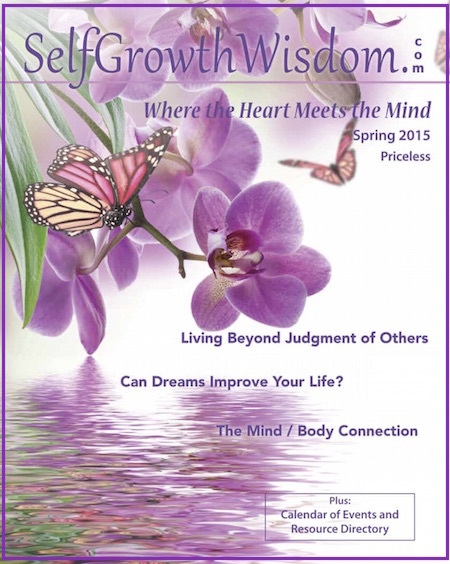 SelfGrowthWisdom.com™ magazine, formerly known as Holistic Discoveries™, is affiliated with Journeys of Wisdom, but is a separate organization. John A. McMullin is the publisher. For many years, the magazine was available in print and distributed to over 100 Central Ohio small businesses, alternative healing practices, health spas, co-ops, holistic organizations and other vendors. And the magazine was always free to everyone through advertising. Due to the rising cost of printing and paid advertising, the last issue was printed in 2015. All of the printed issues are available digitally, including the Holistic Discoveries™ magazine archives. To download or browse any of the .pdf files, display SGW magazines. Download a .pdf of our latest issue here.